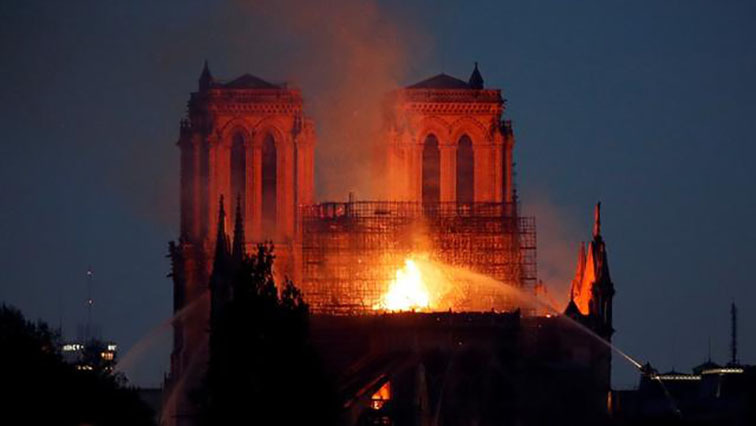 Disbelief as flames lapped at the Notre-Dame's rooftop - SABC News - Breaking news, special reports, world, business, sport coverage of all South African current events. Africa's news leader. According to local media outlets, the fire, which broke out at around 17:00 local time on Monday, caused the cathedral’s spire to collapse. Parisian Philae Nazon came out with a friend to witness the terrible event with her own eyes. “My friend and I came all the way here. This is really terrible. It is a historical site that not only belongs to Paris but also to France. It’s not just a cathedral but a symbol of France. Witnessing this is terrible. It took so much time to build Notre-Dame but it was ruined in just several hours. I can’t look anymore,” she lamented. As the flames lapped at the building’s rooftop, Nazon said she hoped that the cathedral’s main structure could be saved. “It’s horrible, just straightforward horrible. So I hope they’ll be able to build it up again, and that they’ll be able to actually, you know, have something being repaired. I hope not too many people got damaged,” he said. By early Tuesday morning, officials said the fire was under control and that the cathedral’s main structure has been saved. This entry was posted on 16 Apr 2019,06:05AM at 6:05 AM and is filed under World, Homepage Featured Story Slider. You can follow any responses to this entry through the RSS 2.0 feed. Both comments and pings are currently closed.